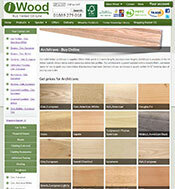 iWood offers 5 standard Architrave profiles. Each has a matching skirting profile available. You can specify your own width in the Architrave Pricing Calculator.